Great telemarketers are worth their weight in gold. Few of us have the stomach to make marketing calls cold. And of those that do, most do it incredibly badly, as no doubt you’ll have discovered whenever you get disturbed by an evening call from someone pretending not to sell something. But a great telemarketer, someone with experience, executive presence and a sharp understanding of business can generate high value appointments with senior decision makers where other less direct routes fail. Provided, that is, you give them something to work with. Most businesses these days have got to grips with the idea of having a strong Value Proposition or USP. A compelling reason why your ideal client would want to do business with you rather than anyone else. However, when it comes to getting initial meetings, that’s rarely enough. Most high value products and services – the type you want to get a meeting with a senior decision maker to discuss – have fairly long sales cycles. So most of the time your potential clients aren’t in “buying mode”. Often they haven’t yet realised they have a problem you can solve. Or they’re still in the early stages of exploring that problem or opportunity. Most estimates put the percentage of potential clients who could be buyers but who just aren’t ready to buy yet at 70% or more. That means that with a telemarketing campaign – even a very well targeted one – the majority of the prospects called just don’t care about your USP or Value Proposition right now. They’re not interested in how great you are or why you’re better than your competition. Or even in how many testimonials you have. Right now, all they’re interested in is finding out more about the problem or opportunity they have. Understanding it better so they can decide what to do. Only then will they start caring about why they should work with you or buy from you. That means that if you want a meeting with a senior executive before they’re in buying mode, you need a darned good reason why they should meet with you. It’s not your USP or the benefits you could bring them if they work with you – they’re not that far yet. But it could well be some useful information you have that helps them with what they’re focused on right now: building a better understanding of their problem. So that might be the results of a small benchmarking study you’ve done into what their competitors are doing in this area. Or some case studies you have of leading practices. Or a “buyers guide” to what to think about in this area. Or some new ideas and insights. Or anything really that help them with the problem they have right now while establishing you as an expert in the area. I call this your “Compelling Reason To Meet”. When you’re trying to get meetings with senior decision makers it’s just as important as your overall Value Proposition. 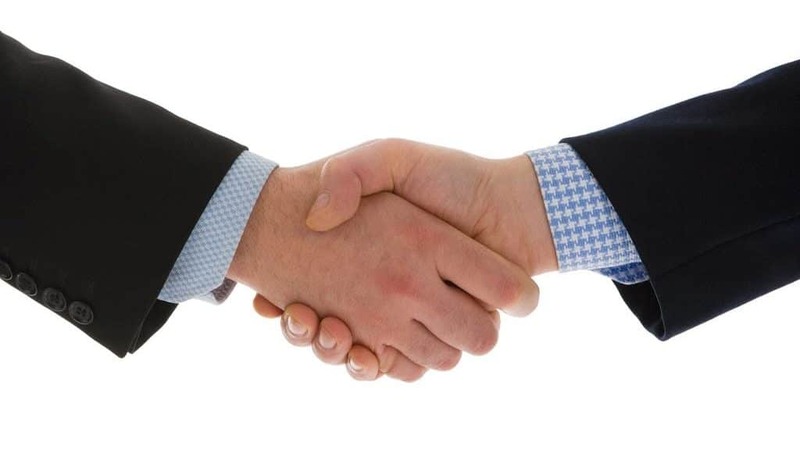 By getting in at this early stage with your compelling reason to meet and creating value for your potential clients in the meeting, you can begin to establish yourself as a trusted partner. And if you continue to nurture that relationship then you’ll be the first person they turn to when they’re ready to buy. Now you might be thinking: “this sounds like hard work, can’t I just focus on the people who are ready to buy right now?” And sure enough, you could. But the problem is that usually by the time a client is ready to buy, someone else has already established that trusted partner position and you have very little chance of building the credibility and trust needed to win in a short space of time. So how do you create a “compelling reason to meet”? Make a big list of all the key problems and issues or goals and aspirations that your products or services address. And narrow them down to the most important and most common ones. Then think through what useful information, ideas and experience you can share with your potential clients that will help them make progress with those issues. Value: which of your potential reasons addresses the biggest problems or goals your clients have? Exclusivity: what’s your specific competitive advantage? Proof: which of your potential reasons can you back up the best (e.g. with testimonials, awards, proven track record, etc.)? Flesh out the top 2 or 3 reasons with the highest aggregate scores and develop material you could use to discuss this areas in a meeting with your potential clients. Then every time you’re thinking of running a campaign, discuss with your telemarketer which of your compelling reasons would be the most powerful to use in this specific campaign. Remember, a great telemarketer can make big progress for you. But their effectiveness can be magnified hugely if you equip them with a strong reason for clients to meet you. So help your telemarketer out: give them a “Compelling Reason to Meet”. Ian Brodie is a consultant, blogger, and author of the free report: 5 Simple Marketing Tweaks That Will Get You More Clients. He works with consultants, coaches and other professionals to help them attract and win more clients. Already doing telemarketing yourself but not getting the results you need? GSA can also provide telemarketing training for your existing staff, bringing them new skills, telemarketing tips, know-how or just a different approach. 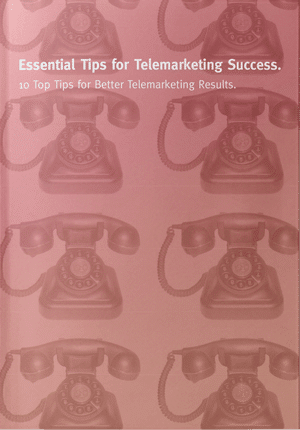 Also, check out our essent Ready to talk?ial guide to telemarketing success. Is Today’s SME an Endangered Species?